‎Raoul Plommer‎ to ICANN Bad Attitude 15 hrs � San Juan, Puerto Rico � The registrars pay 18 cents per domain and the registries pay 25 cents per domain. Basically, ICANN gets 43 cents on all of the ~330 million domains in existence per year. I think we could easily raise that fee by one cent per domain. The only people that this would really hurt, are the "domainers", i.e. people that have registered thousands of domains. For others, the added cost would be nothing but insignificant. For example, I am not sure if the fellowship program's budget needs to be cut at all, but its impact does need to be measured better. That much is pretty much agreed by everyone in the community. My point really is, that a lot of the increase in ICANN's budget is actually a direct consequence of dealing with more complex issues, with more complicated and numerous applications of the DNS, as well as the sheer number of domains and gTLDs in existence. The need for work at ICANN has grown and so should its budget. On top of that, even ICANN isn't untouched by general inflation of prices. Denying that, is like denying the existence of gravity. 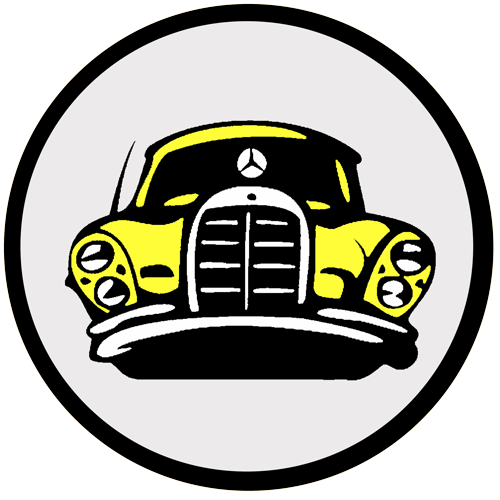 Raoul Plommer Generally, the price for registering a domain is about ten dollars to the registrant. Increasing that price by one cent is one thousandth of it. If you're honest about this, you can't say it hurts, or is even felt by a person that owns a few domains. Calvin Browne Umm.... you said it hurts, not me. I'm arguing about who it hurts. Raoul Plommer If you read it again, I actually said that it does NOT hurt anyone else than domainers. Calvin Browne Like I said - you said it hurts. I'm arguing about who it hurts. But I see I'm repeating myself. Calvin Browne We both agree that domainers will be "hurt" by the 1c increase. (Or have you changed your mind now?) But only you think that others who also have to pay this (now statistically insignificant amount, but not for dimainers) increase will not be "hurt". Calvin Browne Peter I'm going to throw Jonathan Demme at you if you're not careful. Peter Czar Larsen Calvin Browne are we talking about a dead guy or someone I dont know? Calvin Browne The dead guy who directed "stop making sense". Calvin Browne Peter - hah - someone talking sense now. Raoul Plommer Good point. However, if you think of a very moderate inflation of 2% over ten years year-on-year, it makes well over 20% increases in costs. ICANN has not raised its fees since... when? Raoul Plommer "the number of domain names registered has increased with the passage of time, so revenue is higher today than it was a decade ago." Yes, this is what Rubens referred to with economies of scale. Richard Sexton "The need for work at ICANN has grown"
Actually icann could be turned off last tuesday and nobody but the hotels and airlines would notice. You'd still be able to get your email and play on book of face. Raoul Plommer People who say that ICANN could cease to exist at any given point are (mostly willingly) ignoring the ramifications of that, if it actually happened. Simon Higgs Raoul Plommer You know there are people here who actually know how teh Interwebz really works, right? Richard Sexton Who do you think invented smiley domains ? And that protocol that replaced v6? Icann just messes with stuff we invent. So we stopped telling them. If we already had a way to route around icann in use the last people we'd tell this time are icann folks. It's not like they're going to find out on their own now is it? So what icann has left is the worlds most corrupt registry that cost more to bill than to provide service, is only supported by well funded cluess crooks. Noticeably absent: consent of the governed, that's why you can't feel the love at an icann meeting, just the hangover. ipvsec, vs, http ssh al don't work and rely on icann for their ability to bring down the network. Slick! v6 doesn't work and never will. He who shall not be named had better penetration in 3 mos that it has done in a decade. That clinton era experient in light of the presidents plans to roll out national access? It icann was the walking dead when do you think you'd find out exactly? Johan 'Julf' Helsingius So this is a non-commercial constituency rep arguing for charging more money from a lot of ordinary people - to what end? Raoul Plommer Yeah, the same rep thinks it's less damaging to charge 1 cent more per year from a lot of ordinary people, than to have a "multi-stakeholder model" that is using civil society as a rubber stamp in legitimising its policies. Peter Czar Larsen thats like argueing that horses are a safer and quicker way of transportation. Simon Higgs Peter Czar Larsen That�s backwards. Arguing for an increase budget for ICANN is like arguing for a 70mph highway system for horses and buggies when everyone (except apparently you) knows IANA has an infinite improbability drive. Peter Czar Larsen no, backwards is argueing that you can do with $30000 usd because a guy said so 30 years ago (in internet time paraphrased to real time, is around 3-400 years of real time). Thats backwards. Peter Czar Larsen Yes? 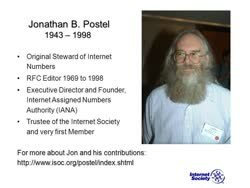 I do know who Jon Postel is, or was. Thanks. Do you have any other real arguments from this decade? Simon Higgs Peter Czar Larsen Arguments are properly resolved on a first-come first-served basis per RFC1591. Teh Interwebz weren�t built simply to come up with a new argument and auction it off for a quick buck. Any idiot from any decade can do that. Richard Sexton "thats like argueing that horses are a safer and quicker way of transportation." No it's not. If you think that analogy holds please explain this tortured logic.
" Do you have any other real arguments from this decade?" Jon said it and we all agreed. If you were there you'd know that. Richard Sexton Peter Czar Larsen What is it you think Jon did? Do you know how long it took? What is it you think icann actually does? Do you how long THAT took? Raoul Plommer Raising fees of ICANN definitely seems like a taboo for the domain industry. You know, the same that controls ICANN in a way, that will shift expenses to the registrant and has successfully refused to budge an inch on paying more of those fees for over a decade. Peter Czar Larsen .... and basicly, you want to have the extra money so you can have an 20 year anniversary party (as the main reason). Go buy your own beer, thanks. Raoul Plommer That's not true. I own several domains and the increase of a cent or few per annum is entirely insignificant even to me, who has income of less than �1000 per month. Raoul Plommer I gave the past CEO's party and the coming anniversary as examples of the extent of change in attitudes, that has already happened. It is by no means a reason to increase the fees. The biggest reasons are the increased work load of ICANN and general inflation. Beer costs now quite a bit more than ten years ago. Raoul Plommer I hope you didn't lose all of your sleep over that little quip. Peter Czar Larsen thank you for proving my statement. Richard Sexton This is assuming ICANN should get any money at all. How about they pay instead of take a tax? We could vote on it. Since ICANN is mandated to "measure and implement consensus" if we all vote to end it, there's no mechanism of opposition. So how much would ICANN like to pay for the privilege of doing whatever it is they do? I do not think increasing the domain tax without any representation or a way to stop or lower it is a good idea, especially in the land that created the "no taxation without representation" idea. Raoul Plommer Right. Let's wait another decade or two, and arguments against it will probably be just the same as they were ten years ago. Ayden F�rdeline ICANN is about to take a seven or eight digit hit when it is hit with its GDPR fines. It's not a given that ICANN will be around in a decade! Raoul Plommer That's just more the reason to get that reserve fund replenished ASAP. Ayden F�rdeline It will likely be replenished through organisational efficiencies (i.e. cutting community travel and other support) and not by raising fees. Raoul Plommer I've no illusions that wouldn't be the most likely scenario, as it is. Simon Higgs So you�ve only just figured out that you can�t run an organization perpetually on TLD application fees? Simon Higgs What I want to know is how many of those $6000/year �premium� domain names have actually sold? Jeff Bedser Lets call it 187M gTLDs. Richard Sexton That was yesterday. We don't want to use inflated numbers now do we? Volker Greimann No thank you! Dmitry Kohmanyuk Every currency is falling against the dollar. Since most people are not in US, it is actually inflated cost. For euro, for example. And of course being in one of most expensive cities in US doesn�t help. Denver, Chicago, Minneapolis all have lower cost of business..
Richard Sexton Every currency is falling against the bitcoin. Christopher Ambler How about ICANN roll back the theft of .web from me and I�ll pay what�s needed?